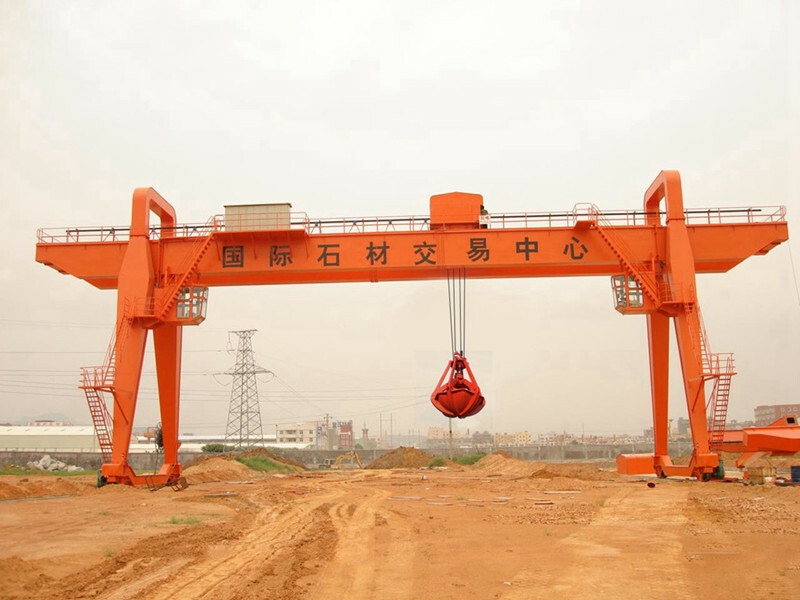 Grab bridge crane is widely used in power plants, freight yards, workshops, docks, bulk loading and unloading transport. The cranes are heavy duty work, work level is A6. All agencies operate in the driver's cab. Into the driver's room platform door direction: end, side into, and top into. Rated lifting weight including grab weight. Clamshell opening direction has two parallel and vertical beams. The take-off device is a double-reel four-rope grab, simple in structure and reliable in work. The grab can be opened and closed at any height. Grappling only applies to the natural accumulation of particulate materials under the state, when grasping underwater materials or special materials must be ordered when ordering. 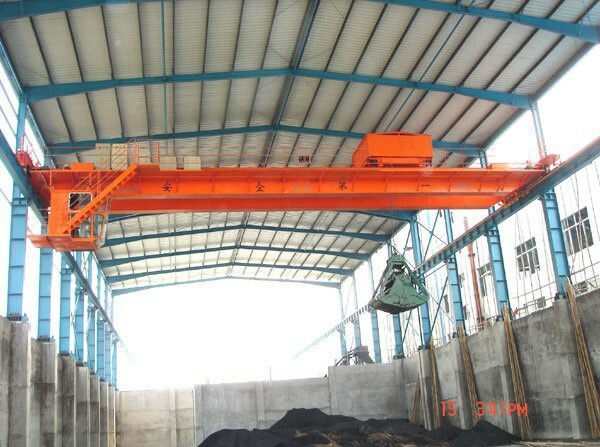 The crane can be outdoors indoors, outdoor use when the rain cover device. 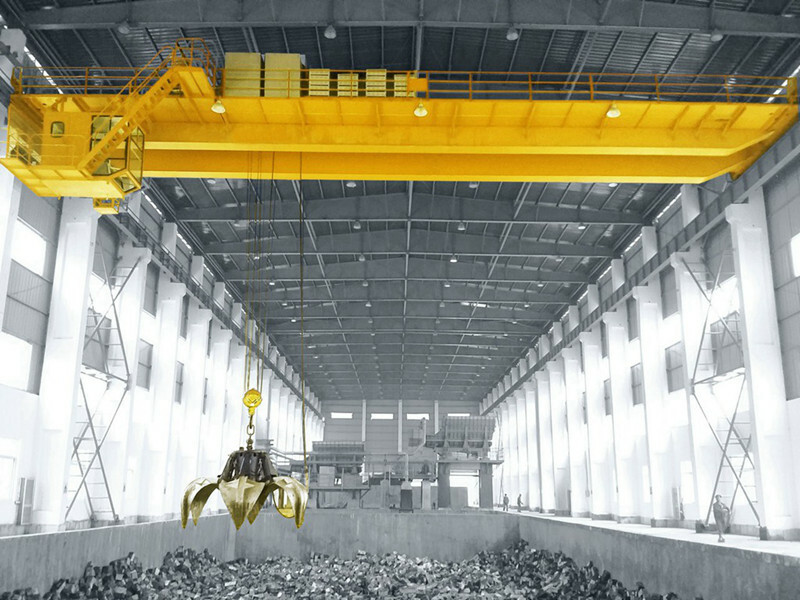 Overhead crane with grab is widely used in loading goods in port,factory,workshop and power plant. Its work duty is A6. 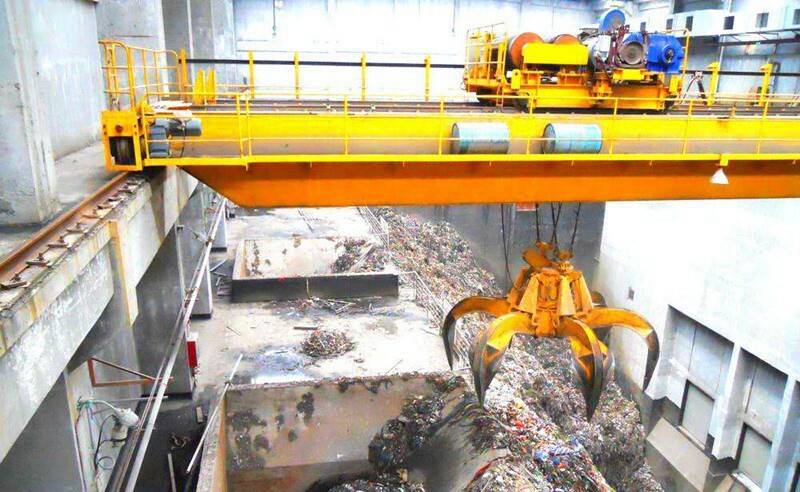 The lifting capacity includes the weight of the grab. The open direction of the grab is eith paralleling the girder or plumbing the girder. Crane wheel and wheel shaft through the high frequency quenching and tempering treatment, it eliminates the internal stress and ensures the machining accuracy. WEIHUA pioneers the use of welding robot, the main girder inseam weld by advanced MAG welding. The main girder welding adopts radiographic testing and ultrasonic testing to ensure the welding quality.